Chicken Dance is a painting by Julie Schronk which was uploaded on January 15th, 2010. 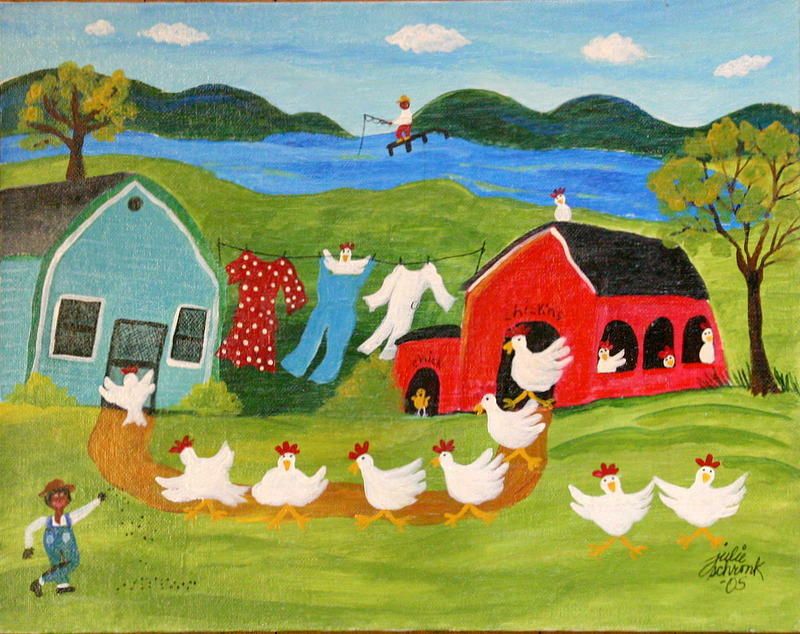 These chickens are so excited they are dancing out of their chicken house in this whimsical folk art painting. Notice the laundry and the black guy in the background fishin. He looks like he's having a great time! This represent the type of black folk art I am well know for. There are no comments for Chicken Dance. Click here to post the first comment.